Growing Old is Not for the Faint of Heart. We are the Taffy Generation, pulled into two different directions. As we live longer and have children later, we find our parents becoming frail and helpless, just as our children are becoming independent and leaving the nest (or not, but that’s a whole ‘nuther conversation). Just as our babies didn’t come with an operator’s manual, there is no how-toguide for taking care of old folks. We’re all flying blind as our parents slide into their second childhoods. It’s uncomfortable to talk about the unpleasant realities of growing old and having those End of Life discussions border on being downright taboo. But if we can somehow find the humor and humanity in it, perhaps we ease the pain a little—maybe enough to get us through the soul-crushing times. After all, what choice do we really have? None of us are getting out of here alive. 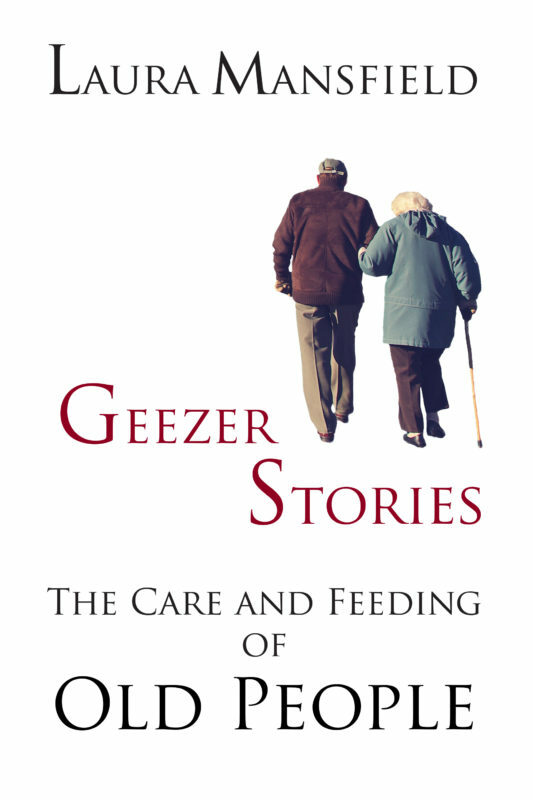 Geezer Stories is about finding the happy in the heartache. It’s about forgiveness, letting go of the past, loving imperfectly. It’s about accepting our parents’ failings as well as our own. It’s about finding that intangible sense of community and support we all need as we face this uncharted journey of parenting our parents together with compassion and shared understanding.